When do I paint? Always…I am painting now – while I am looking at you, while I am speaking to you. 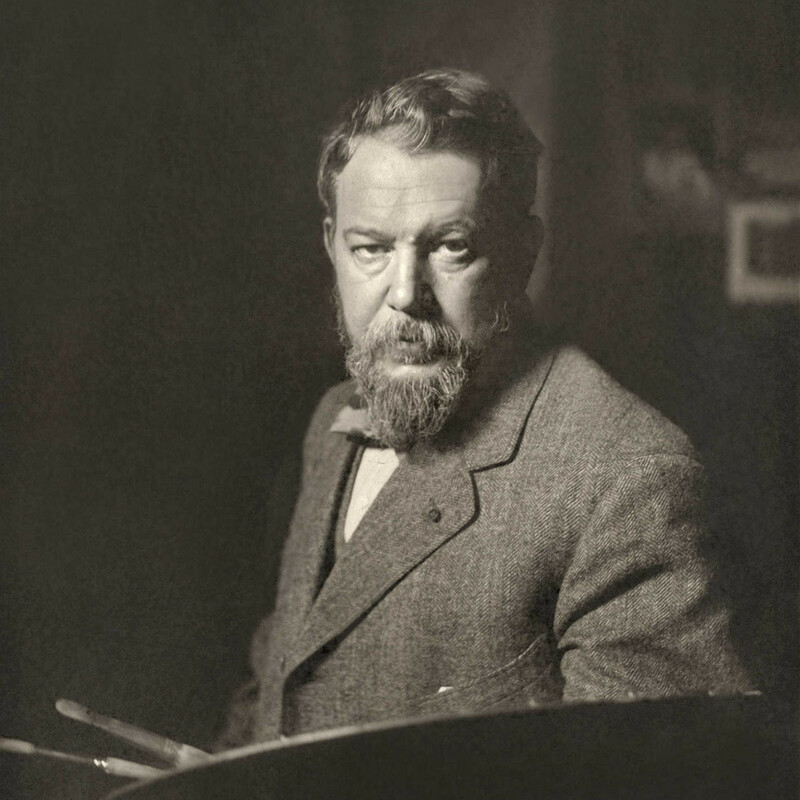 Joaquín Sorolla y Bastida is considered the most important Spanish painter at the turn of the century. Often referred to as “the painter of sunlight,” his ability to show the effects of brilliant sunshine was so skillful that he is often considered a superior talent to his French contemporary, Claude Monet. Like many young artists, his early style was Academic, with an emphasis on traditional subjects, such as history painting. However, as he matured, he quickly evolved into a full-blown impressionist painter; his palette became lighter and more vibrant, his brushwork more painterly and his subjects drawn from everyday life. While he was a very popular and accomplished portraitist, he is best remembered for his Valencian beach scenes, which frequently included the local population or members of his own family. Sorolla’s reputation was widespread and international, but nowhere was he more greatly admired than in America. Two extensive exhibitions of his work were organized in 1909 and 1911 under the direction of the Hispanic Society of America, and its founder, Archer Milton Huntington. Starting in New York and continuing on to Buffalo and Boston, the 1909 retrospective was such a critical and financial success for Sorolla that a second show was planned for 1911 with venues in Chicago and St. Louis. In 2013, the Meadows Museum at SMU in Dallas organized a blockbuster exhibition, Sorolla and America, the most extensive showing of Sorolla’s work in America since 1911 and in March 2019, Sorolla: Spanish Master of Light opened at The National Gallery of Art in London.